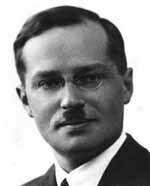 Jerzy Neyman was born as Dzerzij ("George") Niman in what presently became a part of Russia, and received his PhD in Warsaw. His early teaching was in the areas of mathematics and statistics. He did not invent, but was an early advocate of, random rather than representative sampling, a position that is now generally accepted. He went to England in 1926 to work with the statistician Karl Pearson, whose writings (especially the book The Grammar of Science) had been an early inspiration, but was disappointed to find him unacquainted with modern mathematics. Neyman went on to Paris (1927), where he attended the lectures of Lebesgue and Borel. While there, his interest in statistics was renewed by an encounter with Karl Pearson's son Egon, also then in Paris, who was trying to find a general principle from which Gosset's ("Student's") T test could be derived. Neyman returned to Warsaw in 1927, and with American funding set up a biometric laboratory, which came into existence as the Nencki Institute in 1928. He wrote several papers jointly with Egon Pearson, one of them relevant to the Gosset Problem, and the other dealing with the Bayes Theorem about prior and posterior probabilities. This collaboration eventually led to the Neyman-Pearson Lemma, a "frequentist" or Bernoullian alternative to the Bayesian approach to hypothesis testing. Conditions in Poland worsened, and by 1932 Neyman wrote "I simply cannot work; the crisis and the struggle for existence take all my time and energy." It is widely felt that in spite of the existence of a large number of special problems for which perfect solutions exist, statistical theory in general in its present state is far from being completely satisfactory from the point of view of its accuracy. to contribute toward the establishment of a theory of statistics on a level of accuracy which is usual in other branches of mathematics. Neyman's mention of two unsolved problems, including the Gosset/Student problem, in a Berkeley lecture in 1940, would have been of little consequence had George B Dantzig not been late to that particular class, mistaken the unsolved problems on the blackboard for a homework assignment, and wound up solving both of them. Neyman took the initiative in getting Dantzig's papers published, and thus in launching Dantzig's career. Dantzig's discovery is legendary, and Neyman's generous response deserves to be legendary also: not all teachers will tolerate a student who discovers something in their presence, and few of those will take the initiative in getting that student's work published. Neyman was instrumental in bringing Lucien Le Cam to Berkeley in 1950, when the Statistics Laboratory had not yet become the Statistics Department. Neyman became the first head of the Department when it was officially founded a few years later. In his seventies and eighties he continued to run the statistical laboratory at Berkeley. No one dared to contradict him. He was top dog in every sense. I don't want to give the impression that he was a tyrant. He wasn't. He was very likable; everyone respected him as the leading mathematical statistician in the world. Quite correctly, I think. In 1979, Neyman was elected a Fellow of the Royal Society, thus coming into symbolic conjunction with Bayes, who had been a member some centuries earlier. He died in 1981. 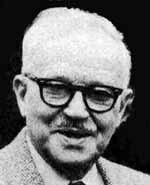 His contribution lies in the area of hypothesis testing, confidence intervals, and the expanded chi square, and more generally, in the mathematical rigor with which statistical questions are approached.